*Prizes may vary without warning. *Event details may vary without warning. Get the PR card at the Card Booth!! *This card may be distributed at a future event. The NORTH AMERICA TOUR 2018!! Experience Dragon Ball Heroes and get a promotional card. *1of the 4cards are dispensed from the machine at random!! For rules, please check here! *SUPER DRAGONBALL HEROES is totally different from DRAGON BALL SUPER CARD GAME. DRAGON BALL SUPER CARD GAME promos cannot be used in SUPER DRAGONBALL HEROES nor vice versa. At this time, we have not determined whether SUPER DRAGONBALL HEROES will be demonstrated at future events. 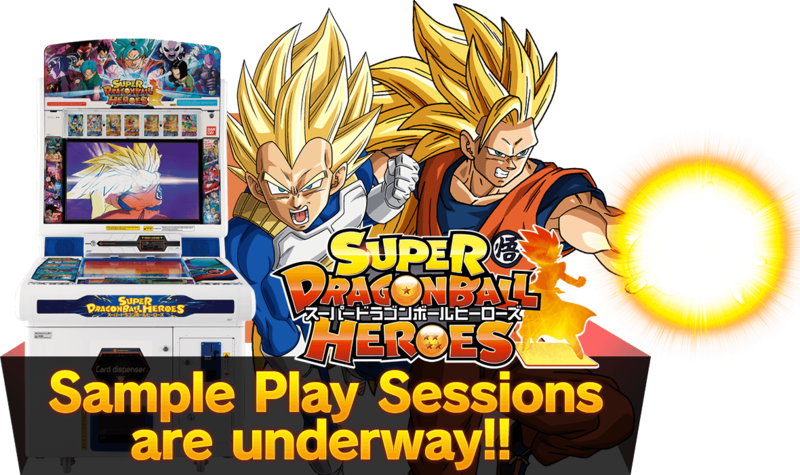 We will be sure to inform you on our website if we decide to demonstrate SUPER DRAGONBALL HEROES at future events.